\n\n Keith's note: Care to guess where this donation box is? 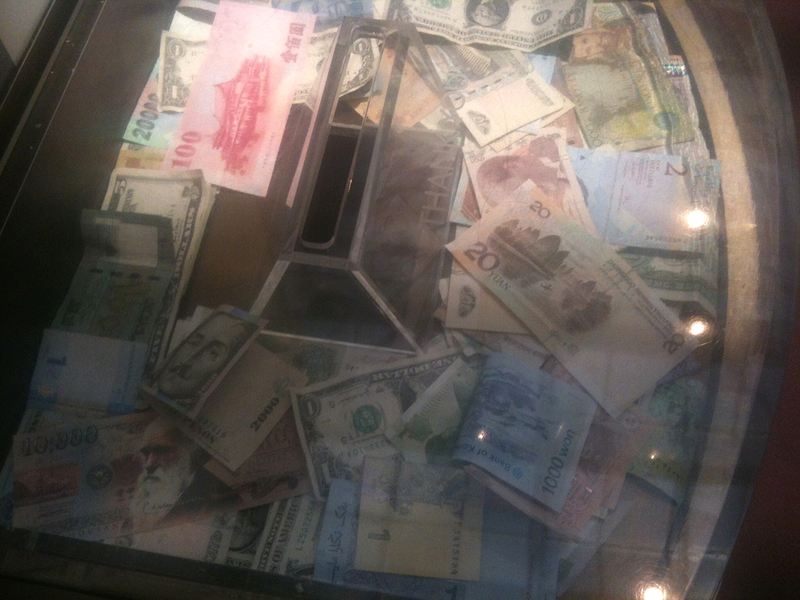 Note the diversity of currencies. This diversity is quite normal for this location. Click on image to enlarge. This page contains a single entry by Keith Cowing published on July 22, 2013 9:05 PM. NASA Web Strategy: Dazed and Confused (Update) was the previous entry in this blog. Comparing The White House and Congress FY14 Appropriations is the next entry in this blog.